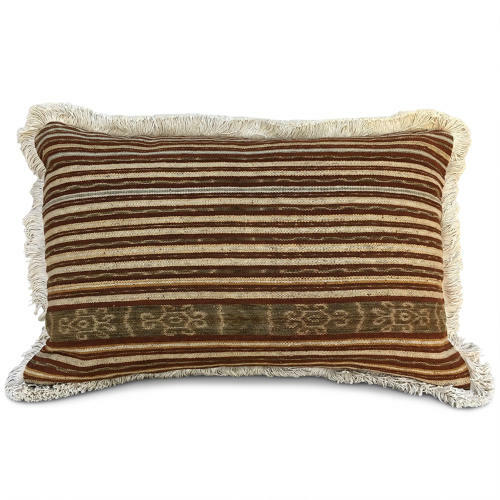 These wonderful cushions are made from a vintage ikat from Roti island, Indonesia. The colours are lovely and muted natural dyes, in browns and greens, and they are backed with vegetable dyed vintage hemp in sage green. The edges have a thick natural cotton fringe trim, there are zip fasteners and feather pads.